Temple of the Dog - the Seattle supergroup featuring Soundgarden's Chris Cornell, Pearl Jam's Jeff Ament, Stone Gossard, and Mike McCready, and drummer Matt Cameron (who plays drums with both Soundgarden and Pearl Jam) - has reunited and will tour for the first time ever since forming in 1990. 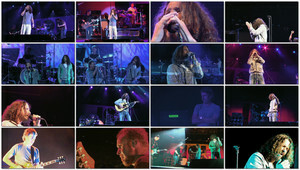 The tour marks the 25th anniversary of the release of Temple of the Dog's first and only album, a self-titled set that was issued by A&M Records in April 1991. "We wanted to do the one thing we never got to do...play shows and see what it feels like to be the band that we walked away from 25 years ago," Cornell says of the 2016 tour. In September 2016 UMe will also release a special Temple of the Dog 25th anniversary reissue collection of their landmark album, newly mixed by Brendan O'Brien. The release will be available in multiple configurations including a 180g 2LP-set and a this four disc Super Deluxe edition featuring two CDs, blu-ray disc and DVD housed in a magnetic flip top box package with booklet, liner notes by David Fricke, lenticular sticker and poster. 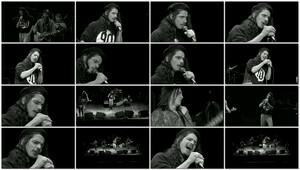 Temple of the Dog came together from the ashes of Mother Love Bone following the death from a drug overdose of its frontman Andrew Wood, Cornell's close friend and roommate. Cornell wrote future TOTD songs "Say Hello 2 Heaven" and "Reach Down" to help process his grief, "but the songs didn't have any destination," he says. "I was compelled to write them and there they were - written in a vacuum as a tribute to Andy. My thought was that maybe I could record these songs with the remaining members of Mother Love Bone and that maybe we could release them as a tribute." Mother Love Bone's Gossard and Ament began playing with McCready, and they brought in Soundgarden's Cameron to drum on demos. 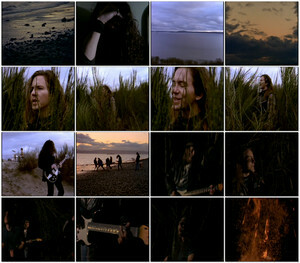 Because this was a collaboration, and a tribute, there was no commercial expectation for the Temple of the Dog album. It would be, Gossard would later observe, "the easiest and most beautiful record that we've ever been involved with." Adds Cornell: "Temple was about making an album simply for the joy of doing it. We weren't concerned what anyone outside of our group of friends would think of it. It was the first and maybe only stress-free album that we all made."